Around 15 years ago, the world of market research underwent fundamental changes. Before this shift, survey creation, distribution and reporting was a time-consuming process. However, as the internet grew in popularity and utility, everything changed — including the way we conduct surveys. These original survey platforms provided simple, easy-to-use solutions for people concerned mostly with convenience. Today, however, businesses need — and customers demand — much more. The technology of that time, from the CD player to Nokia phone, has already drifted into nostalgia and kitsch, with many of the early online survey platforms following suit.By failing to keep up with technology, these platforms soon became obsolete. The era of quick and dirty is over. So is the era of simplicity for simplicity’s sake. 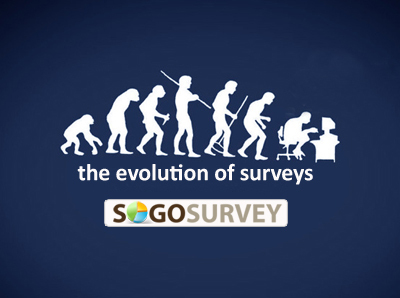 SoGoSurvey is at the cutting edge of the online survey revolution. We giveyou the necessary controls and tools to create customized, engaging surveys, while our distribution module integrates essential marketing and branding concepts. And our reporting mechanism crunches and analyzes your data to best identify significant trends. At SoGoSurvey, we’re committed to efficiency, effectiveness and affordability. The world of surveys has changed plenty over the last few years. As people demand more, we can only imagine how survey platforms will work in the next 10 years. But, rest assured, SoGoSurvey will still be at the forefront.